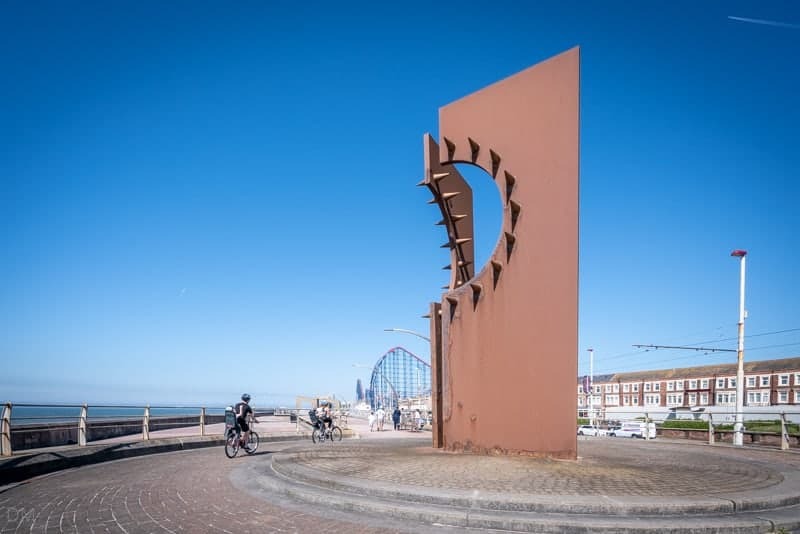 This outdoor art gallery runs along Blackpool’s New South Promenade, from Squires Gate to the Sandcastle Waterpark. In 1999 Blackpool Council approached over 50 artists and invited them to submit designs for Great Promenade Show. Following a public exhibition of the entries, local residents voted for their favourites. 10 designs were installed on the seafront. The High Tide Organ – A tidal organ designed by Liam Curtin and John Gooding. The instrument is played by the sea at high tide though pipes attached to the sea wall. Curtin also designed the Meccano Bridge at Prestolee Locks in Bolton. They Shoot Horses, Don’t They? 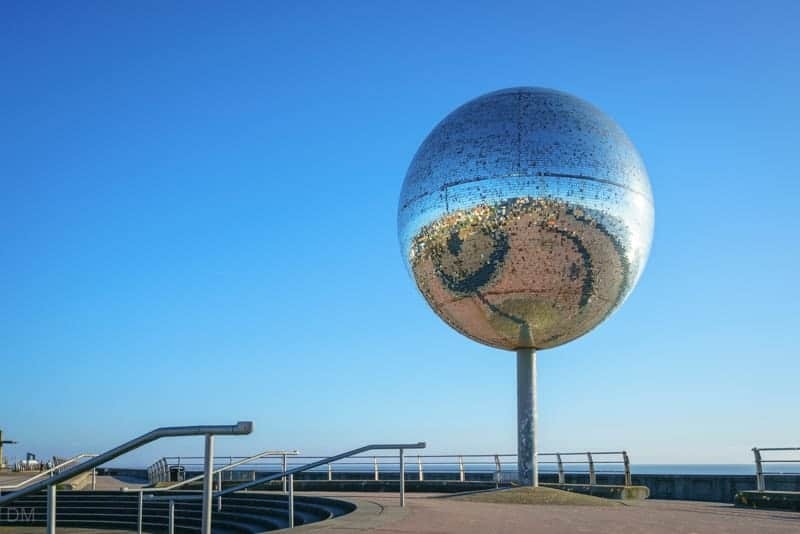 – A huge mirror ball designed by Michael Trainor. Named after Horace McCoy’s novel and the subsequent Sydney Pollack movie. The Swivelling Wind Shelters – This tall shelter moves with the wind so its occupants are always shielded from the elements. Designed by McChesney Architects and Atelier One. Desire – An abstract sculpture consisting of steel slabs and spikes. Designed by Chris Knight. Viewing the sculptures is obviously free. 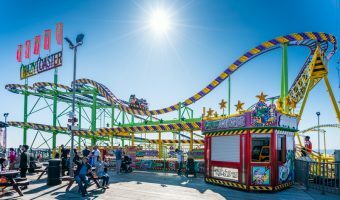 Other attractions on the South Shore include the Pleasure Beach, Sandcastle Waterpark, and the South Pier. South Pier (0.8 miles) - Pier near Pleasure Beach. Features extreme rides such as the Skyscreamer and Skycoaster. Blackpool Pleasure Beach Train Station (0.4 miles) - Train station near Blackpool Pleasure Beach. Squires Gate Train Station (0.5 miles) - Train station in southern Blackpool. 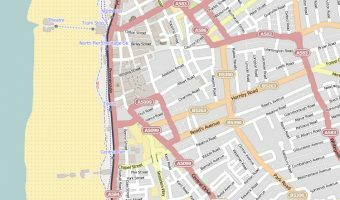 Map showing location of Great Promenade Show. Looks great. It’s two years since I visited Blackpool. 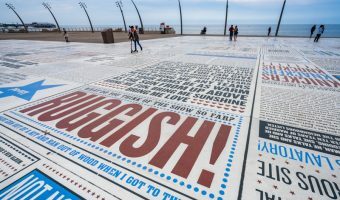 These images have made me consider a visit next month – well done Blackpool. 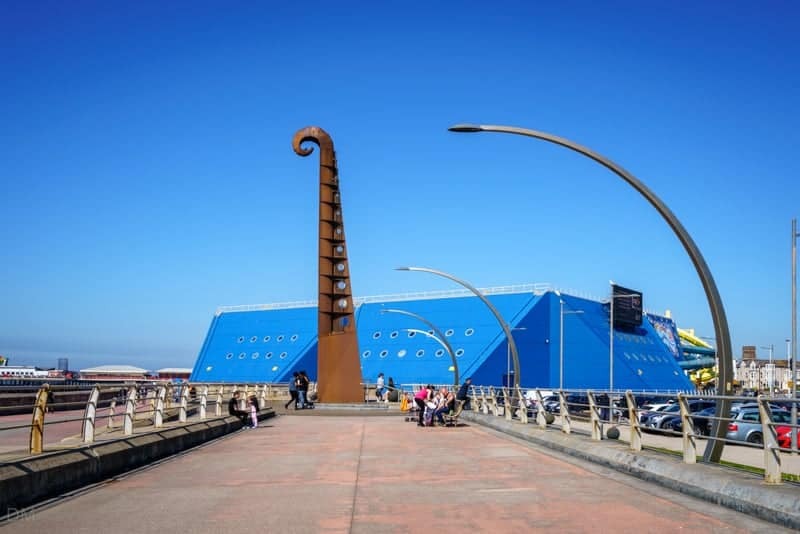 Who would have thought it – Cultural Blackpool. Spent the whole day in Blackpool and didn’t go on one ride! Had a fantastic time. 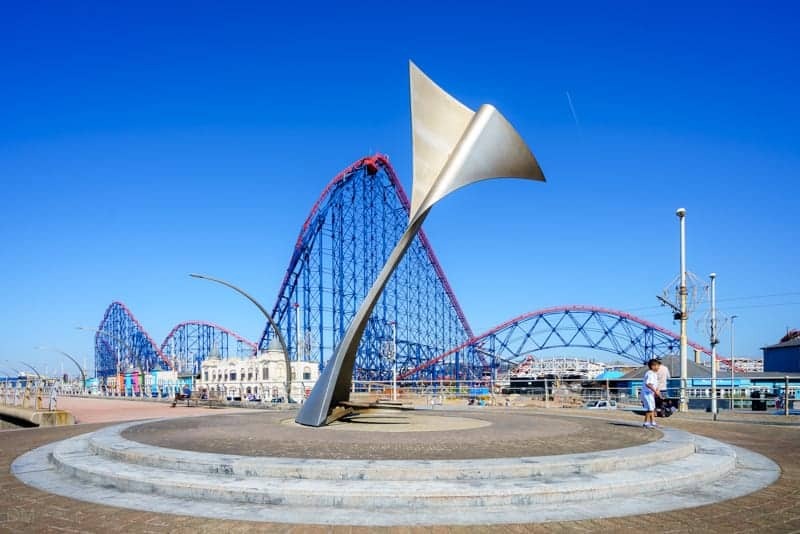 Nothing could be more exciting than to be there and witness the artworks which represent Blackpool. There’s some amazing works of art here. This is so different to the traditional Blackpool that many have come to hate. Fantastic piece of public art on Blackpool Promenade.